A solar reflective coating that provides high level of protection against solar degradation and heat gain. Suitable for use over bituminous coatings, ages asphalt and primed steel. It is a superior alternative to chippings when applied in a two coat application. 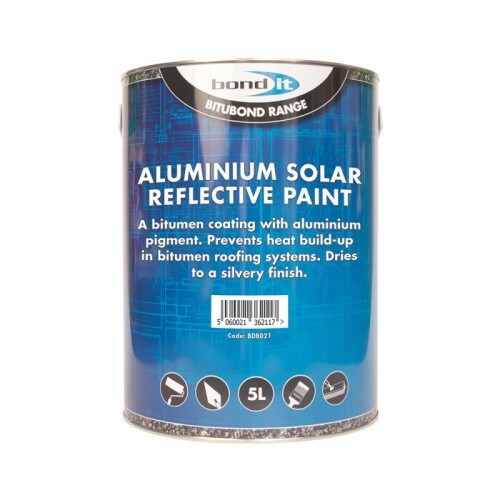 Reduces heat build-up and gives a reflective finish to bituminous coatings and primed steel. Can also be used for the refurbishment of aged steel roofs. Apply by brush or mohair roller. See Technical Data Sheet for full application details.